It's a shame I'm so addicted to the crudo focaccia sandwich at Eataly because it's disgraceful how long the line takes. It's not the length of the line either, it could be three people in front of you or eight and it would still take forever. I spent time today trying to figure out why everything was taking so long, and I come to no conclusion. Still. 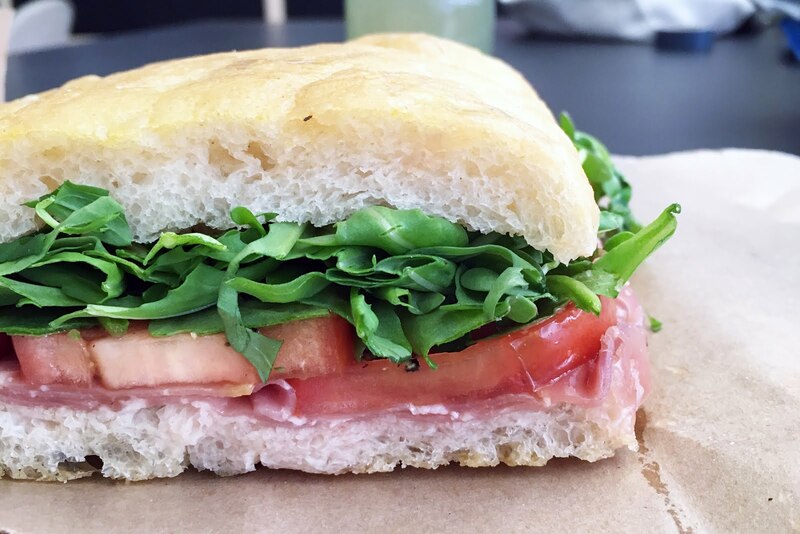 I'm not sure I can stay away from the pre-made sandwiches of prosciutto, tomato and arugula, tucked away on the side of the bread and focaccia counter. The sandwich is light and airy, and I adore the saltiness of the prosciutto balanced with the olive oil dressing, crackled pepper soaked into the tomatoes. Not a sandwich you want to eat on the go as it requires two hands to hold it.